Category Archives: What If Butterflies Loved Snow? Winter comes with more than it’s fair share of holiday and family traditions but here are five books that celebrate family connections on ordinary days. 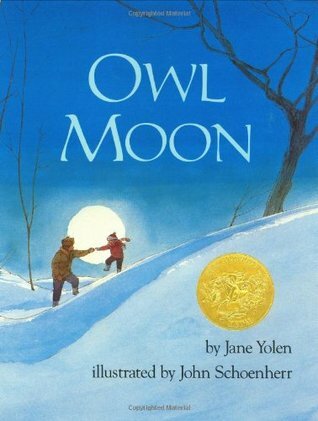 A girl and her father go out looking for owls in a book that brings magic to an ordinary snowy night. 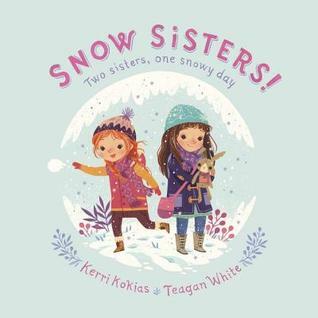 Two sisters with very different ideas about what makes the perfect snow day. A girl and her mother snuggle in bed and wonder what it would be like if butterflies brightened up the winter. Brothers spend the day together watching the woods fill up with snow. 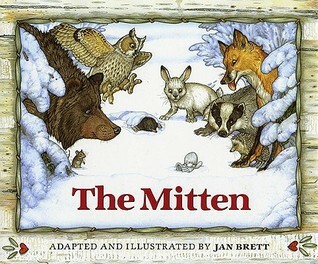 Grandmother knits her grandson a pair of snowy mittens in this silly winter story. What’s your favorite winter book? Does it also celebrate a family connection? My first children’s book was published this spring. A few months later I’ve, mostly, stopped looking for someone else in the room when people ask “the author” a question and I’m starting to see a pattern emerge in those questions asked. Have any more author-y questions you’d like answered? Ask away! 2 Comments Posted in NanoPoblano, What If Butterflies Loved Snow? Tagged author, broken stuff, NaBloPoMo, NanoPoblano, questions, What If Butterflies Loved Snow? I have a four year degree, in theory it was awarded for my studies in biology. It’s actuality I think it’s a degree in procrastination and late night cramming. It worked then and it’s a skill I haven’t forgotten. The current state of my table. Piling everything in one place counts as organization and preparation right? This weekend I’m doing my first library program and with just one more night of cramming I should be prepared. All I need is a beer and a package of ramen and I’ll feel 22 again. 2 Comments Posted in NanoPoblano, What If Butterflies Loved Snow? Tagged book, NaBloPoMo, NanoPoblano, procrastination, What If Butterflies Loved Snow? I went to a book festival this weekend. Anyways, I went to a book festival as an author for the first time this weekend. I met some really interesting people. I met some really kind people. I listened to some excellent authors talk about bookish things. It was in general pretty fabulous. I am not known for my small talk/meeting new people skills. I can do it but it takes a lot of courage. And book marketing… let’s not even dive in to the uncomfortableness that is hawking your book, your baby, that you worked for years on, to complete strangers who ask you questions like “Oh? Did you write this?” Its hard in a weird emotional way. But for every odd comment, “oh… how… whimsical…” there was a wonderful one. “So this is really an art book!! !” And those that passed by without interest were balanced out by those who took them time to talk. At the last presentation I attended a man used the phrase “The dark side of the bright side.” It wasn’t used in relation to book marketing. But I’m adopting it for that purpose. 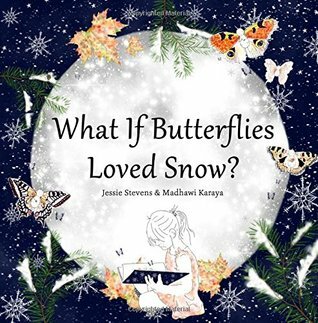 There is so much wonderfulness surrounding “What if Butterflies Loved Snow?” right now. It’s in stores- like real life, actual, walk down your street and open the door stores- that’s amazing! People are asking me to do library programs and school visits- that’s terrifying and also super duper awesome. My story is getting into the hands of children just like I one day hoped and that still gives me chills. But the work to get it there- the cold calling on stores, the preparing for library programs, the follow up calls and pushing my product at people who haven’t even asked about it. That’s the dark side of the bright side. Oh but that bright side is shiny, and the dark isn’t so dark the more I do it. So if you need a guest post on your blog, want to interview me about my book, have a store I should contact, an idea I should track down, let me know. I’m working through the dark side and when it gets to be too much, I remember, that even at it’s darkest, I’m still on the bright side. 1 Comment Posted in Spring, this moment, What If Butterflies Loved Snow? Tagged kids, snow, this moment, What If Butterflies Loved Snow? It’s official. The book is out! You can buy it on Amazon.com or Amazon.co.uk ! You can take selfies with it and accidentally stab yourself in the eye with it (but I wouldn’t recommend that at all). Because – look – dream come true- it’s a real book! You can hear even more backstory if you’d like to sign up for our newsletter here: Sign up now! 8 Comments Posted in What If Butterflies Loved Snow? Tagged What If Butterflies Loved Snow? Leave a comment Posted in this moment, What If Butterflies Loved Snow? Tagged this moment, What If Butterflies Loved Snow?